LinkedIn is rolling out some new update the second half of 2017 that should be really appealing to both marketing and sales as the updates are driving engagement and opportunities. It is obvious to me that LinkedIn is working to offer better solutions for users to meet their business objectives. For those of you who have stuck with LinkedIn and are active, you will win in terms of building relationships, engaging your network and prospecting leads. Back in July I wrote about LinkedIn Rolling Out Native Video Via Mobile. I know many of you are still waiting to see the video icon in your share a post box, keep checking as one day it will just appear next to the camera icon. LinkedIn just announced that video is now going to be available via desktop as well. That’s good news for all you desktop users, so again watch for the video icon to appear. Video will auto-play if you have settings turned on to YES. You will have to hover over the video for at least 3 seconds for the video to start playing. I am really excited about this feature as I message people on a daily basis. If you use Facebook messenger, honestly, I find LinkedIn messenger easier and more accessible. This feature is rolling out now!You can see the full green dot that means they are active on mobile or desktop, if there is a green ring that means they are on mobile with push notification but are not active. When you see people are live – a great strategy to reach out and start a conversation, build on a relationship in a casual way. New opportunities can come through casual conversations if you take the time to be thoughtful and considerate. When you get the ring instead of circle – you get a pop-up that says how long ago they were active, refresh the page to check the latest time for accuracy. There’s an option to pick how your status is displayed and who can see if you’re available. Simply go to your settings to manage who can and can’t see when you’re available. This is a fantastic feature – use it strategically!! Now doing a search on mobile and desktop there is a new filter called Connections of. This is not the same as searching connections from a profile. This allows you to further refine your existing search to the next level. 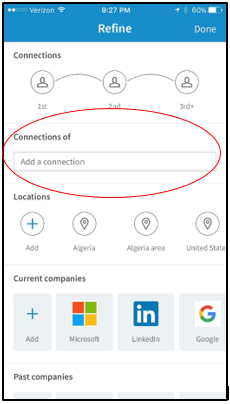 So, let’s say you are searching for a sales manager at a specific company and you know someone who works there or who might be connected, you add their name to see the connections of that person. This is an ideal way to get a warm introduction!! If you have put a Facebook pixel on your website then you know the value of the information you gain. 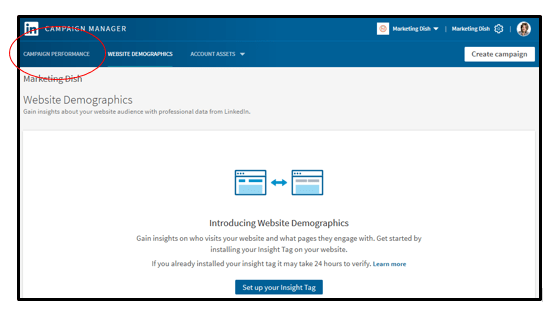 LinkedIn now offers the same feature however you can gain insights from the data without having to pay for any advertising. I say this because you do need to open an ads account in your LinkedIn profile and you must have a company page to attach to the ad account. Same thing, if you have a download people subscribe to on your websiteyou could target ads to those people because based on their interests. Google tag manager can help you put the code on your site or better yet, have your web designer add this to all the pages on your site. This is where you could add Facebook, Twitter or Google pixels at the same time if you are hiring a web developer to add code. LinkedIn now has added the ability to share multiple images in a single post on iOS (Android and desktop coming soon). Facebook has had this feature so you may be used to the look. I think this would be great to share multiple images of employees in your company, share from a conference where there are often so many great speakers or from a relevant event. 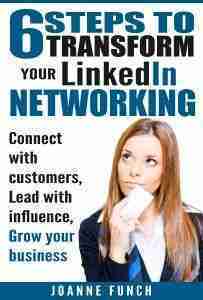 Get creative and let your connections know what’s going on in your business again relevant to what you are known for. Perhaps you want someone to edit your article before publishing, now you have the ability to share your draft. Click on “Share Draft” in the article edit menu to get the link – only those who you share the link with will be able to see the draft. According to LinkedIn, guests and logged out members can now see your posts, videos and articles. Simply grab the URL of the post from the control menu and share with your friends on Facebook, Twitter or anywhere on the web. This is a great tactic for repurposing your published articles and getting them seen from other social sites driving up your engagement levels on LinkedIn. Remember, LinkedIn rewards activity which means your posts, articles and shares will get shown to more people! 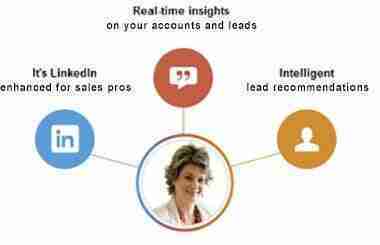 LinkedIn continues to dominate as a tool especially for B2B sales and prospecting. Nurturing and engaging your network is part of the social selling process and these advancements will help you share your content and become a known resource. Let me know if you have any of these new features yet and how you are using them.